1. How many alphabets were there in the system developed by Phoenician? Answer: Only twenty two letters. No vowels, only consonants. 2. Who added vowels to the Phoenician alphabet? Answer: The Greeks added vowels. 3. How did the European alphabets get its present form? Answer: The Romans made further improvements. Thus the European alphabet got its present form. 4. How old is the Egyptian civilization? 5. What is the importance of Egyptian civilization? 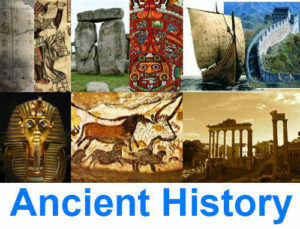 Answer: It is one of the oldest civilizations in the world. 6. Why is Egypt called the gift of Nile? Answer: Without Nile, Egypt would have been a part of the Sahara Desert. 7. When did people begin to settle in the Nile Deltas? Answer: In the Neolithic age about 5000 B.C. 8. Who were the early settlers of Egypt? Answer: Libyans, Semitics and Negroes. 9. What was the early history of Egypt? Answer: From 5000 B.C. to 3400 B.C., no clear history is available. 10. Which were the earlier kingdoms in Egypt? 11. After the early period, two kingdoms came into existence. Which were they? Answer: The lower Egypt and Upper Egypt. 12. When was Egypt united into one kingdom? 13. Who was the king that united the two kingdoms? 14. Which was the capital of Menes? 15. Who was the founder of the first dynasty in Egypt? 16. By what name the Egyptian kings were known? 17. What is the meaning of the word ’pharaoh’? Answer: The man who lives in the big house. 18. How do people consider the king? 19. What was the policy adopted by the pharaohs of the early period? 20. How many dynasties have ailed Egypt? 21. The rule of the pharaohs is divided into three periods. Which are they? Answer: The pyramid age, the middle kingdom and the Imperial age. 22. How many dynasties were there in the old kingdom or in the Pyramid age? 23. How long had the old kingdom ruled Egypt? Answer: From 3400 B.C. – 2300 B.C. 24. For what the old kingdom was famous for? 25. What is a pyramid? Answer: The tombs of the kings of Egypt. They were mountains of solid stones and bricks. 26. How many pyramids are there in Egypt? Answer: About seventy in number. 27. Where were the pyramids built? 28. Which were the most attractive among them? Answer: The three pyramids at Giza. 29. To whom do these pyramids stand for? Answer: Pharaoh Zoser, Cheops, and Khafre. 30. Among the three pyramids, which was the biggest and the most beautiful one? Answer: The pyramid of Cheops or king Khufu built in 2900 B.C.